Cabinet decided two weekly off in federal government institutions and early closure of business in the country on Wednesday to tackle the energy crisis, which would be taken into effect on 15 instant. 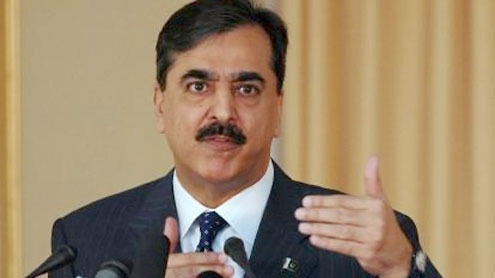 A special meeting of the federal cabinet was held on Wednesday under the chairmanship of Prime Minister Syed Yousaf Raza Gillani. The meeting gave the go ahead to several measures to contain the spiraling power crisis, which has adversely affected the country’s economic activities. The special committee on energy headed by Finance Minister Dr Hafeez Sheikh briefed the meeting on the current situation of demand and supply and production of electricity and on the strategy required to deal with the ongoing energy crisis. The cabinet decided to introduce two weekly holidays in all the federal government offices but the prime minister associated its implementation with the approval of provinces through the forum of the Council for Common Interests (CCI). Sources privy to the meeting said that the two offs would not apply to key branches of the country’s main banks to ensure that business activity is not hampered. The cabinet also decided to issue warnings to big defaulters to clear their electricity dues in 45 days or else prepare to face suspension of their respective power supplies. However, the warning spares domestic consumers who use less than 100 units of electricity per month. The cabinet decided that the connections of all electricity defaulters including government departments without any discrimination or favour would be cut off. The above deadline would apply on all private and public departments, companies and firms to clear their outstanding bills. Other measures that the cabinet approved included closure of marriage halls at 10pm across the country. It was also decided that all shopping centres and markets would be closed down at sunset and streetlights and billboards will be converted into LED lights. The steps would be taken to encouraging the use of energy savers instead of bulbs. If two weekly offs could not tackle the energy crisis, would we go for three weekly offs? Industrial output is needed highly. Why not reduce the time by one hour on the clocks of PST. Start a nationwide campaign for saving power ?